As a leader in men’s custom hair replacement, we are excited to offer our client Hairskeen hair, a new option for men suffering with hair loss. This cutting-edge solution brings you the modern, fashion forward solution for thinning hair. Hairskeen can restore your hair with great style and without the need for surgery. Hairkeen offers men the most modern non-surgical hair replacement line for men suffering from hair loss and thinning hair. This cutting-edge European hair loss solution designed exclusively for men offers the latest in modern cutting edge men’s hair fashion. As a leading provider of custom men’s hair replacement solutions in Virginia, we are excited to offer Hairskeen to our clients. 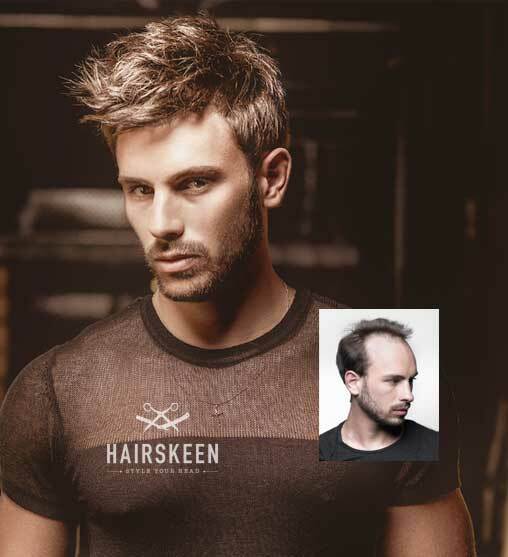 Hairskeen offers the very latest in European men’s hair replacement technology combining the latest non-surgical hair restoration technology with modern style and design for unbelievably natural results. If you have been looking for a men’s hair loss solution that’s on the cutting edge of hair replacement technology, look no further. At Advance Techniques in Richmond, we are thrilled to be among the first men’s hair restoration centers in the USA to share Hairskeen’s latest breath through non-surgical hair loss solutions with our clients. With Hairskeen, you can do so much more than just restore your hair. 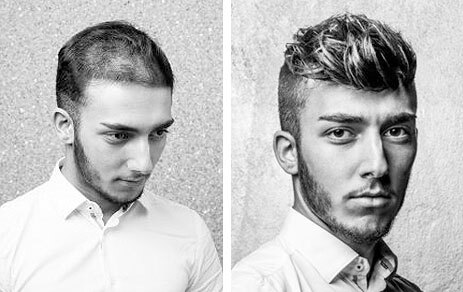 Now you can have the latest in men’s hair styles and the ability to create your own personal look to express your own personal style, whether it’s modern and trendy or urban and sophisticated. Utilizing the finest in 100% natural human hair, you get a totally undetectable custom look and feel that is uniquely you. Now you can say goodbye to hair loss anxiety once and for all and life your life on your own terms again. And Hairskeen is easy to maintain: just treat it like your own natural growing hair. Wash it, blow dry it, use grooming products and get on with living your best life with a full head of great looking hair.